Since dropping her “These Heaux” single, Danielle Bregoli aka The Cash Me Outside Girl has been readying her major debut project. After inking a multi-million dollar deal a few months ago, the 14-year-old South Florida native is back this week with a new music visual. 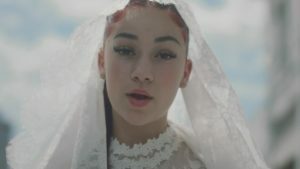 Here, Bhad Bhabie stunts wealth in her latest video “I Got It,” which continues the trend of shitting on lames in her content.